I’m easily swayed by anything French so I could well be being a little biased when I say Laurette Deco’s Springtime collection is positively drool-worthy and magnifique indeed. This isn’t the first time we’ve been astounded by Laurette Deco, we mentioned their 2011 nursery collection earlier in the year and we’re happy to sing their praises from the roof top once again with the arrival of their gorgeous children’s furniture. I love the ease of Laurette Deco furniture. I imagine it will fit any decor without looking out of place. The shelves, I love – and who would think you could love a shelf? These Etagère Engagée, priced from €75, take the humble (and oft overlooked) shelf up a notch in attitude by adding a box element, an angled edge and a glorious flat colour finish. I want one because it’s fabulous (and French). 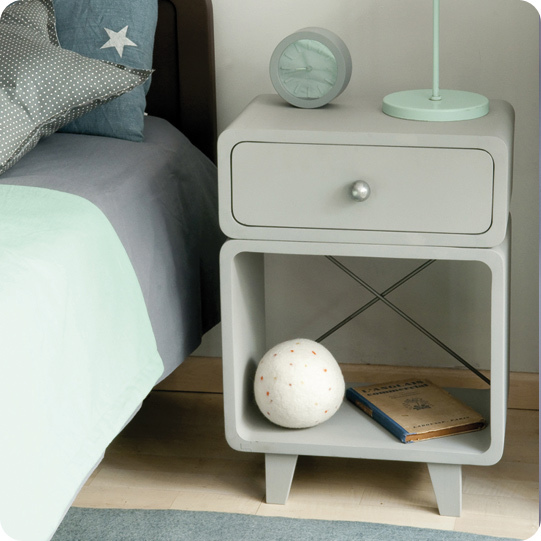 While I’m dreaming, I’ll also take the Chevet Zzz bedside table, priced at €260. The rounded edges and angled legs hooked at first glance and who wouldn’t want to store all their bedtime must-haves here? Laurette Deco also have the ultimate change table system – Le Buffet Surprise (pictured top and priced at €775) – a hard working piece of furniture that changes and grows with your family’s needs. 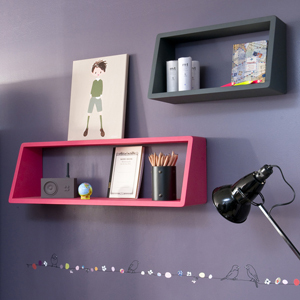 This piece of furniture is available in up to nine different colours ranging from serene white or grey to hot pink! Check out the range for yourself, you’ll find everything you need for a stylish bedroom at Laurette Deco who will ship their stunning furniture to Australia.